The Phi Phi Popular Beach Resort has had mixed reviews but is unquestionably one of the best placed micro resorts on Phi Phi Don Island. Right under the towering cliffs of Tonsai Bay and just a couple of meters from the sea it really has one of Thailand's most idyllic locations. The Phi Phi Popular Beach Resort has only a very few rooms and few resort facilities but it's views and position are very compelling and are popular with those who want to get away from the commercial settings. The Phi Phi Popular Beach Resort is a family run place and is open to the service that a family might offer i.e. most of the time it is great but every now and again they get it wrong. This type of place is great for the type of visitor who understands this and finds this style charming. Nevertheless, those who it love it, really love it. As with many micro resorts of this nature, virtually each room is a different depending on what time it was built and how beautiful they could afford to make it. All rooms have Air conditioning / TV / Refrigerator / Safe Box / Hot Shower but do vary according to size, and number of people. Phi Phi Popular Beach Resort is right at the end of the beach but it is close to the micro but slightly bigger Sand Seaview Resort and the more substantial 3 to 3.5 star Mama Beach Residence and the local field Phi Phi Hospital / clinic. 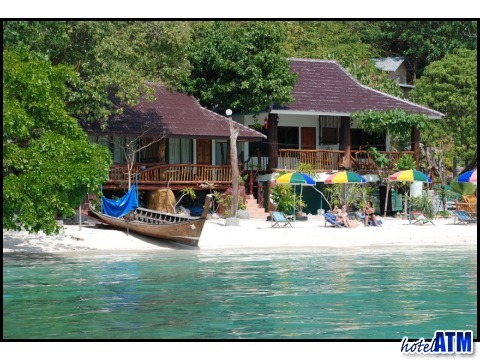 It takes 5 minutes to walk to the main Phi Phi Island Cabana Hotel and then you are at the pier and the main village. The village is 10 minutes from the resort and has everything you might need including dive schools, travel agencies, cafes, bars and restaurants as well as a few simple souvenir shops. The best time to stay at the Phi Phi Popular Beach Resort is during high season November till April though if you avoid June and September, which are the monsoon months you will get some great prices. Be sure to check out the Free Night Special page which lists any particular resort deals and gives the long stay deal by hotelATM and phi-phi.com. 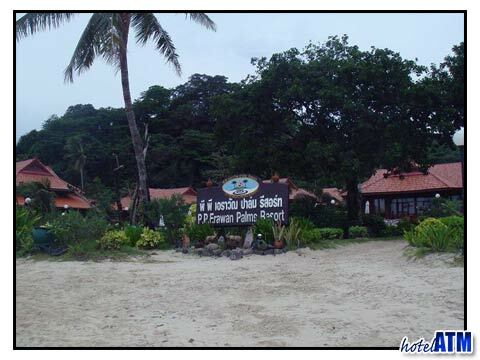 The next door Sand Sea Resort has been mentioned above and there is also the PP Nice Beach Resort which is sandwiched between Sand Sea and Popular. On the remote Pak Nam Beaches on the far eatern edge of Phi Phi Don there are 2 more resorts that are about the size of the Sand Sea Resort (10 -20 rooms) and they are the Phi Phi Relax Beach Resort and the Tohko Beach Resort. These places are a lot more remote and quiet but also on the beachfront. There is nothing else there so they appeal to those who dont need the town and all it's facilities.